For some time, the low-cost airline Ryanair has been modifying its hand luggage policies. In January 2017 they already applied a change with which the suitcase of 55x40x20 cm traveled in the cellar, without any additional cost. But if a passenger wanted to take it in the cabin, that is, carry two pieces of hand on the plane, she had to pay for it. This was the regulation in force until last week, as on November 1 came into force a new one with which the airline intends to reduce delays in flights. Below we explain what changes this new luggage policy of Ryanair has introduced. What is the new baggage regulations? Priority and 2 pieces of carry-on luggage. This rate allows you to use the priority boarding queue and is the only way to carry two pieces of luggage in the cabin, that is, on board with you: one under the front seat and the other (maximum 10 kg) in the compartment on the seat. The price of this option is 6 euros if you reserve at the time of purchase of tickets. But if you add later and online the right to carry a suitcase – you can do it up to 40 minutes before the scheduled departure time of the flight through the Manage My Booking function – the cost will amount to 10 euros. New luggage billing of 10 kg, which allows to carry a suitcase of 10 kg that you must deliver at the check-in desk so that you can travel in the cellar. You can pick up this piece in the luggage bag at the arrival airport. This rate is available for 8 euros at the time of booking, and for 10 if it is added later. Non-priority customers who have not added a baggage to their reservation can buy the option to carry a suitcase with 10 kg wheels at the airport baggage delivery desk for 20 euros or 25 euros at the boarding gate. But keep in mind that if the free small suitcase for non-priority customers does not fit in the suitcase meter, an additional charge of 25 euros will be applied and your suitcase will be tagged and sent to the aircraft hold, so you must Pick it up at the baggage area at the destination. For checked baggage, Ryanair has also updated its policy, unifying with it the price (€ 25) and size (20 kg). Each passenger may invoice a maximum of 3 suitcases subject to the corresponding payment for their billing, choosing the purchase of a baggage allowance of 20 kilos when they make their initial reservation. Charges for checked baggage are charged per person per trip. After making the purchase, checked baggage can be added to the reservation up to 2 hours before the scheduled departure of the flight, but with a higher price: 40 euros per person and flight through the section My reservation, the telephone assistance service at Ryanair customer (902 051292 and 902 585 230) or the airport counter. A detail that is also important to take into account is that on selected flights and during high season, for example, Christmas, Easter and Easter or summer holidays, the fee for invoicing luggage will be 35 euros per person and flight. Passengers who exceed the allowed billing weight must pay the amount stipulated for excess baggage in force on the day of the trip, which is currently 11 euros per kilo. Our main advice is that before buying any of the rates that Ryanair proposes for luggage, plan your trip and take into account the number of days, weather and plans and activities for your trip, among other issues. 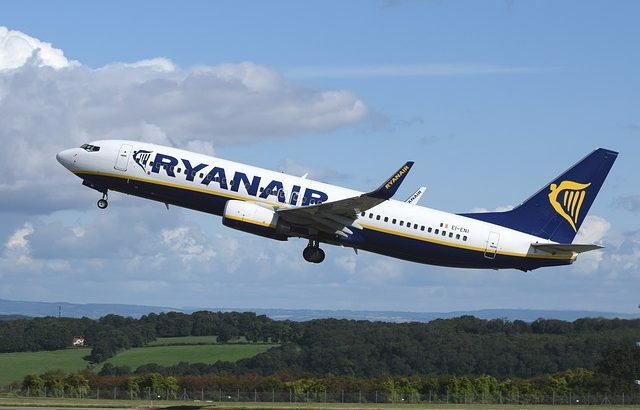 If you have any questions or if you need more information, here you can find a link to the frequently asked questions of the Ryanair hand luggage policy. You can also contact the airline through the contact form (click here), through the live chat service (click here) or by phone (902 051292 and 902 585 230). At WePark, we do not put quantity or weight limits on your luggage. We do not care how much you carry, we can always help you. Our vehicles have a capacity for 7 passengers and has space for 12 large suitcases, plus carry-on luggage. Is it really worth traveling when you have so many facilities?